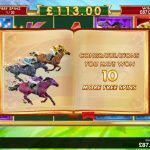 Microgaming, who have one of the largest game portfolios found on their online casino gaming platform, have been busy recently, tweaking and adjusting their video poker games to make them fully compatible with their mobile gaming platform. 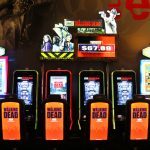 This has resulted in them releasing several different Video Poker variants which can be accessed at any of the growing number of mobile casino sites that utilize their state of the art mobile suite of games. So if you happen to be a fan of playing Video Poker games and are the proud owner of a Tablet device, iPhone, Blackberry, iPad or in fact any modern type of mobile phone or mobile device then you will have plenty of different variants of Video Poker now available to you. 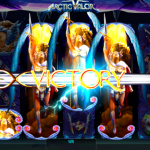 Below you will find an overview of the different Microgaming Mobile Video Poker games, along with valuable information regarding the payout percentages of some of the games and the value of the jackpot payouts, plus we will highlight the differences that each variant offers. Be aware that unlike some mobile Video Poker games when you are playing Microgaming powered games you will be given the option of playing a Gamble game whenever you have been dealt a winning hand. This game is quite basic and offers you the chance of doubling the value of any winning payout achieved by selecting one of four face down cards from the gamble game screen in the hope of it being a higher valued card than the up facing card. You can continue to gamble via this Gamble game up until the point you reach the maximum payout limit in force on the variant you are playing. An incorrect guess however will of course result in you losing the amount of cash you gambled! The Aces and Eights mobile Video Poker game is a multi stake game, and as such you will be able to choose both the coin values you are playing at and also be able to play from one to five coins per hand dealt. This game has the standard 4000 coin jackpot payout which is awarded for being dealt any one of the four different Royal Flush hands when playing maximum 5 coin hands, however its pay table includes several different payouts which makes this game unique. 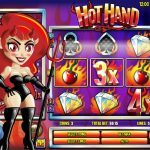 These additional winning payouts include two additional new hand formations these being an enhanced winning payout for a hand with four 7's in it and also any hand contain four Aces or four Eights. Another of the popular Video Poker games which Microgaming have had on offer in their online casinos for quite a while now and one which has just been added to the mobile gaming network is the Deuces Wild Video Poker variant. If you master this Video Poker game and play it with perfect strategy you will find it comes with a long term expected payout percentage of 96.76%. A much larger maximum bet jackpot is on offer on the Bonus Deuces Wild mobile Video Poker game, which will see you winning a 5000 coin payout when you have been dealt a Natural Royal Flush hand. Not only is that enhanced payout on offer but a hand containing either four Deuces with any Ace or four Deuces with any other card will also pick up, when playing maximum coin bets 2000 coins and 1000 coins respectively. As all of the Deuces are wild in this variant of the game then also listed on the pay table are a range of five of a kind hand rankings, which all boast their own unique set of payouts. The Aces and Faces Video Poker game which is available to play on mobile devices at mobile casinos utilizing the Microgaming mobile network comes with the industry standard pay table in force on the game. 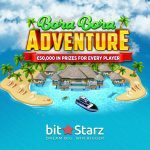 This results in the game offering a generous long term payout percentage of some 99.26% when of course you play maximum coin wagers and put into play perfect playing strategy. The one aspect of this game which is unique is of course the pay table which has had several of the four of a kind hands being given enhanced payouts, with four Aces being the second highest payout possible. When you play the Double Double Bonus Mobile Video Poker game with perfect strategy which includes of course playing maximum five coin wagers, then the pay table found up on it will return a long term RTP of 98.98%. This particular Video Poker game does however come with an adjusted pay table which sees the lower ranked hands having lower payouts attached to them, but to compensate there are several enhanced payouts listed for hands including four of a kind hands, the best of them being a huge 2000 coin payout for four Aces with any 2, 3 or 4 when playing 5 coin wagers. 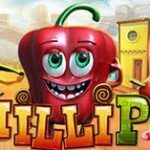 One Video Poker game which you will be able to play at any Microgaming mobile casino site, irrespective of whatever type of mobile phone or mobile device you are accessing it from is the classic Jacks or Better Video Poker game. This is one of the oldest Video Poker games around and comes with the standard pay table attached to it, and as such you are advised to always play the 5 coin maximum wager per hand dealt as by doing so not only will you stand the chance of winning the 4000 coin jackpot paid for a Royal Flush in any suit but when playing this game with the best strategy a long term RTP of 99.54% is on offer.